Most people think “Google” when you talk about website optimization, because of its status as the behemoth that dictates search rules; But lead optimization goes beyond Google. It’s also about capturing leads before they get away - maintaining the trust of real human beings who are trying to decide whether or not to abandon your site. For most people, that decision is made in less than 5 seconds. Of course, people have gotten wise to those formats, and some will avoid them for fear of spam. There’s also a long list of new formats, which take a more “give some to get some” approach. You provide something free in exchange for their contact information. 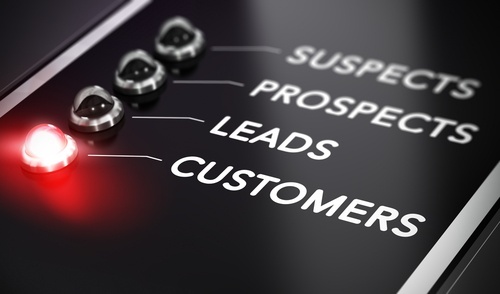 HubSpot calls these lead magnets because they attract by being helpful rather than being pushy. Promote your lead magnets on social channels and cross-promote unique content across channels. This deepens your connections with potential leads by reminding them of your brand more often. It’s important to point out that social media marketing has changed in the past few years. In the past, it was enough to post company news on Facebook and then log out until later in the week. Today, that’s simply not the case. Your potential leads expect a constant flow of two-way communication through social media. If they ask a question, they want it answered promptly - in fact, Facebook shows people how fast your company typically replies and “within a few days” is a real turn-off. In day-to-day lead generation, this means you must put someone in charge of answering social media inquiries as well as, or better than, phone calls. Each failed interaction is a missed lead. If you put a picture of a new health product on Instagram and a follower comments, “Interesting. How much does it cost?” someone on your staff should answer within hours. In fact, if you can respond immediately, you’ll open the door to social selling - a technique proven to drive audience engagement. Use metrics like win rates, average deal size, conversions by campaign, and customer lifetime value by lead source. These will show the long-term effectiveness of your lead generation efforts, so you’ll always spend your marketing dollars wisely. If this seems like a lot to address all the time, it’s because it is. You may need dedicated help from a healthcare-focused marketing agency to accomplish everything that is needed in order to optimize your lead generating activities. Read more about optimizing healthcare lead generation on the KBK Communications blog, or contact us here to see how we can help.